UNIONDALE, N.Y. — Aaron Dennis was shopping in a supermarket last year when he received a phone call with the notification it was from Charlotte Amalie on the U.S. Virgin Islands. 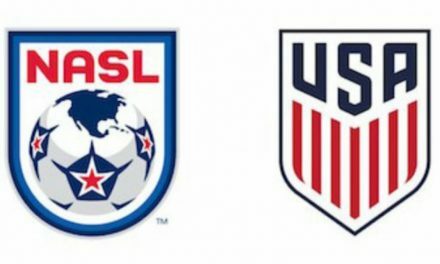 The voice on the other end of the call was Marcelo Serrano, whose “9-to-5 job” is as coach of Austin Bold FC (United Soccer League), who also directs the U.S. Virgin Island national team. Knowing of the Elmont, N.Y. native’s background, Serrano asked Dennis if he would like to join the national team. Dennis went through a range of emotions. “Excited and also intrigued and shocked at the same time,” he said. After all, it’s not every day you get an offer to perform for a national team. Dennis is of Jamaican ancestry but was born in the U.S. Virgin Islands when his mother worked for JP Morgan in 1993. Dennis’ journey continues Friday as the USVI will visit Anguilla in a Concacaf Nations League game in the Caribbean. The Nations League is the qualifying arm for the 2019 Concacaf Gold Cup, to be held this summer. He made his international debut last year, playing twice, in an 8-0 loss at Canada and a 3-0 defeat at Barbados. The Canadians boasted a side with professional players who perform in Europe, Canada and the U.S. “So obviously that game was tough,” he said. Dennis was named team captain prior to the Barbados match. “It was a great honor,” he said. “I am looking to do more work with the country. Barbados tallied two late goals in the match. 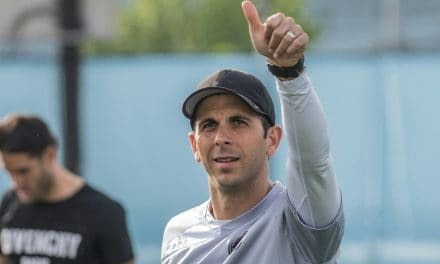 Being a team leader isn’t anything new to Dennis, who also captained teams with Blau-Weis Gottschee, Cosmos Academy and Villanova University. 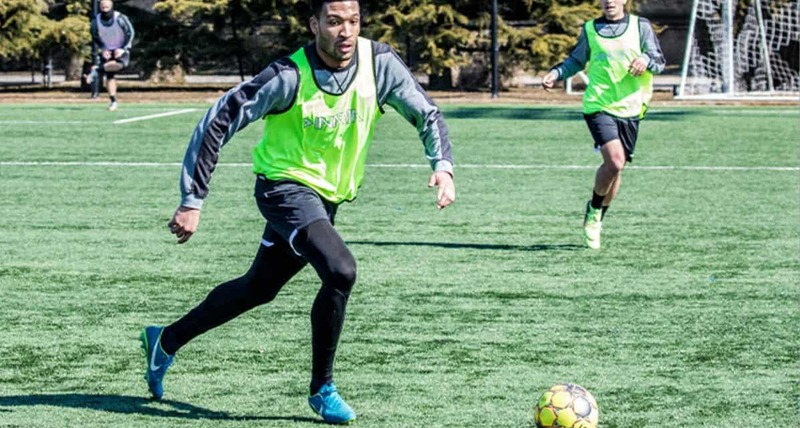 While the former Elmont High School standout is far from being in midseason form, Dennis hoped his first two weeks of training with the Cosmos would be good enough for Friday’s match. Dennis flew to St. Croix to train with the squad Monday. The game will pit a pair of minnows of international soccer against each other — No. 202 U.S. Virgin Islands against Anguilla, which is tied with the Turks and Caicos Islands for the 208th spot. His goal on Friday was simple. “Right now, it is to win the match and if I can score one, two goals, to help us, I’d be ecstatic,” Dennis said. Dennis has been taking his role as team captain seriously. 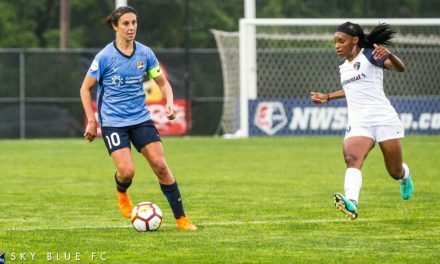 The Dashing Eagle has been eliminated from Gold Cup contention, so Dennis wanted to use the game as a stepping stone to build up the team and players’ confidence. Turning around the soccer fortunes of a country doesn’t happen overnight, but the USVI has planned some improvements. That stadium is slated to be built in St. Croix, which will include locker rooms and a practice field, Dennis said. While Dennis will be eyeing a victory, he will find some time to tour his native land between training sessions. After all, he hasn’t been on U.S. Virgin Islands soil since he was a baby. “Once we get some free time off, some days off, I’ll definitely be traveling as much as I can, to see where I’m from,” he said. Dennis missed Thursday’s 4-0 preseason win over Queens College, but he will return to the team for Tuesday’s match at Adelphi University and prepare for the National Premier Soccer League season, which kicks off April 27. 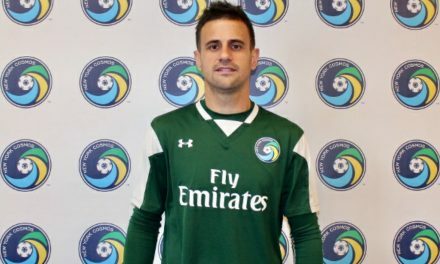 Cosmos head coach Carlos Mendes is expecting big things from Dennis.